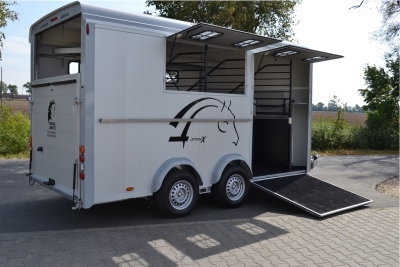 Cheval Liberte Optimax -in stock. 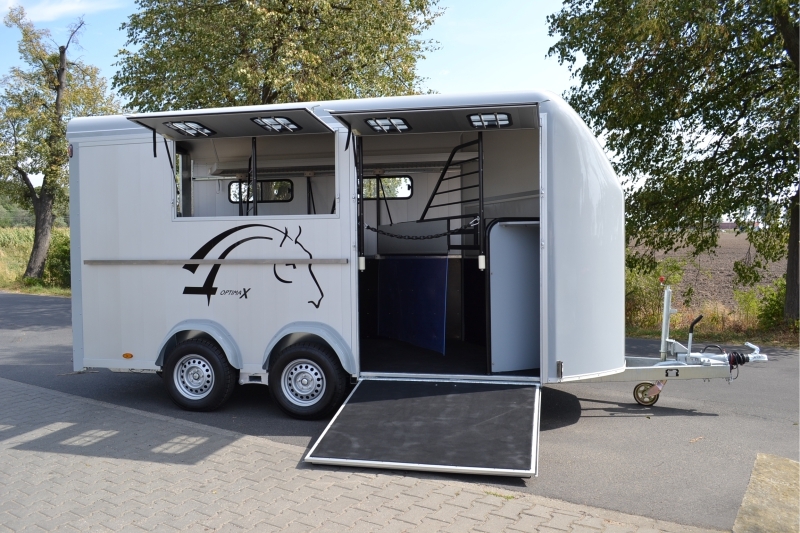 Carries 4 small horses or 3 large. 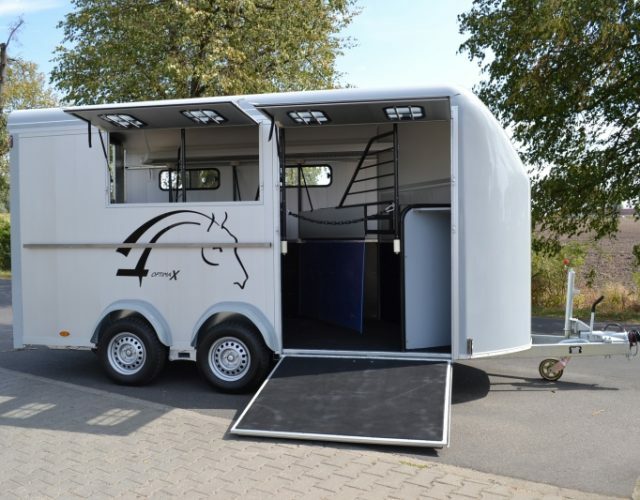 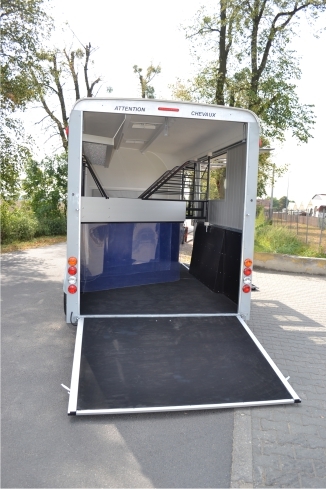 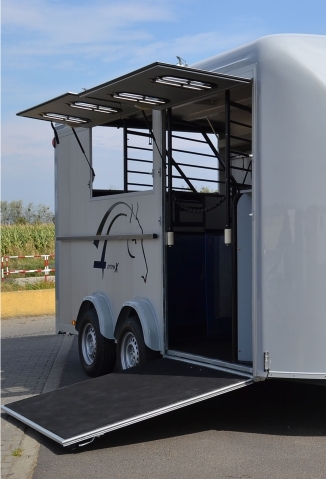 Herringbone trailer with adjustable partitions.